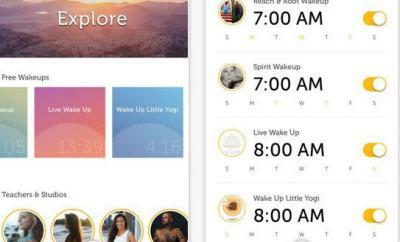 Meet the YogaGlo: a yoga and mediation app for iPhone that provides you with classes to help you sleep better, build a more flexible body, and deal with stress. It is available for all your favorite Apple devices. You can simply choose what you want to get out of yoga and meditation, and this app does the rest. YogaGlo has guided programs, so you can simply pick your schedule and go at your own pace. You can follow your favorite teachers to get updates on their new programs. Classes can be started and stopped from your Apple Watch.